Published on 13 January 2019. 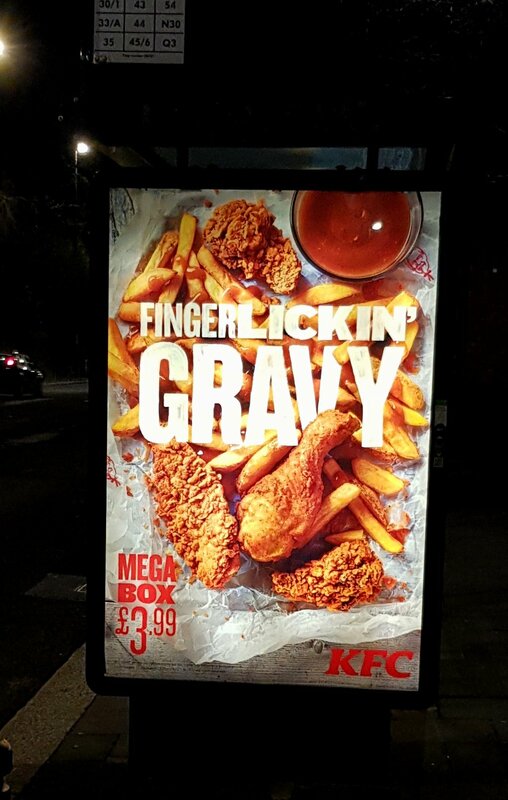 For some reason, I’m a sucker for KFC adverts on bus stops – they always make me feel hungry in a way that other adverts don’t! This 2,353rd post was filed under: Photo-a-day 2019.